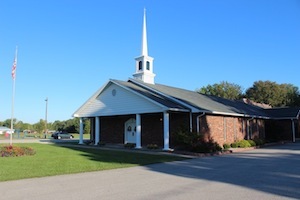 Opened in 1969, the Grace Baptist Church has stood as a place of worship for many in the Madison, Ind., community, and until recently also operated as a Christian academy. 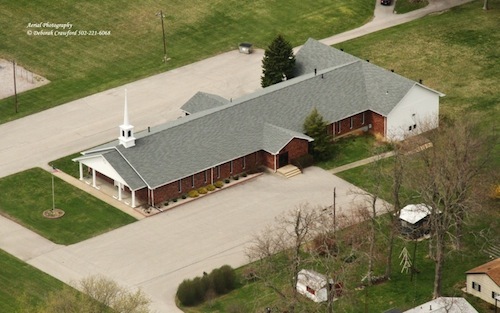 Thanks to deteriorating shingles, the church’s 14,000 sq. ft. roof was leaking around its roof valleys (the crease where roof sections meet), so Pastor Joel Almaroad called Exterior Pro. During our roof inspection, we found that although the shingles were deteriorating, the truss construction—the roof’s interior frame—and a majority of the plywood decking were solid. 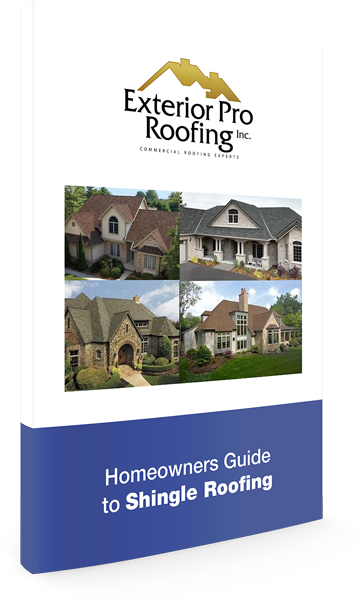 Based on these findings, our team recommended a straightforward shingle-roof replacement. Because the church has an active congregation and was offering classes at the time, the job site was heavily trafficked. Exterior Pro Roofing put plans in place to ensure as little disruption as possible during the project, such as dividing the roof into sections so we could tear off the old roof, and install new felt paper and shingles, all in the same day. Each day, we removed a designated section of old shingles. 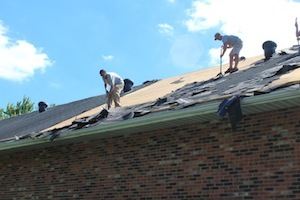 Then part of the crew installed new felt paper and shingles, while the rest removed debris and cleaned up the grounds. Where leaks had caused damage to the plywood deck, we simply ripped up the damaged sheet and installed a replacement. Fortunately, this type of work is fairly standard for shingling replacement projects, and didn’t slow our crew down. With the shingle portion of the project complete, we installed flashing around the church’s steeple and put new ventilation in place. We capped off the job by installing 2,000 sq. ft. of white vinyl siding on the gable edges of the building’s classroom wing (gable edges are the triangular wall section between slanting roof ends). It was fitting that this church also doubled as a school: This was a textbook job that went quickly and efficiently—keeping Pastor Almaroad and his congregation dry.